William Henry Fox Talbot not only invented the negative/positive process that was the forerunner of modern photographic materials, but he also produced the first books to be illustrated with photographs. He had made some unsuccessful attempts at drawing and as a result in 1834 began experimenting with ways for, as he stated, "natural images to imprint themselves durably, and remain fixed upon the paper". By 1835 he had devised his imperfect but workable photogenic-drawing process and had produced paper negatives from which paper positives could be printed. In 1844 he published the first major photographically illustrated book, The Pencil of Nature. 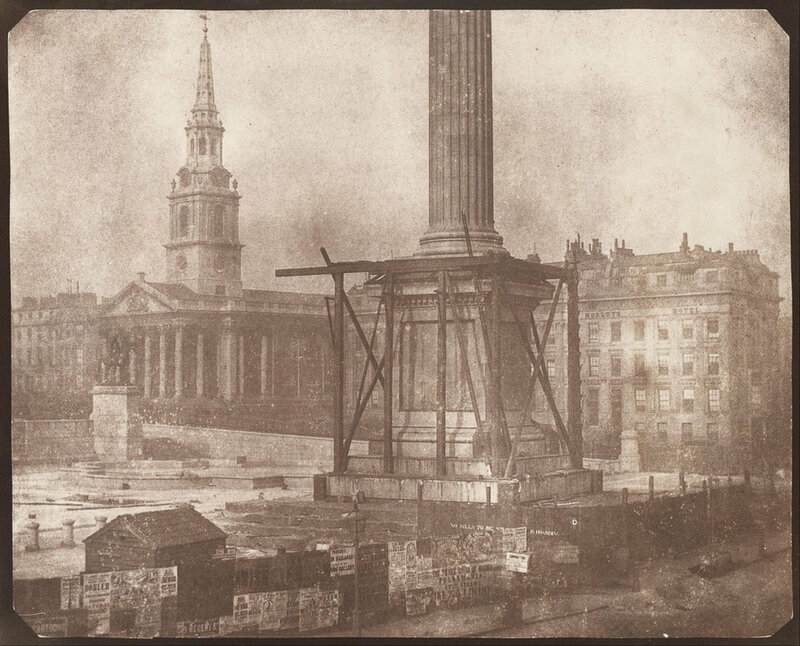 Through creating technical innovations, including the calotype photographic process and the prototype for photogravure printing, Talbot was an instrumental figure in the advancement of photography. He realized the medium's aesthetic possibilities and understood its documentary potential. The body of work that he created is momentous for its historical and sociological significance, as well as for its quiet grandeur.